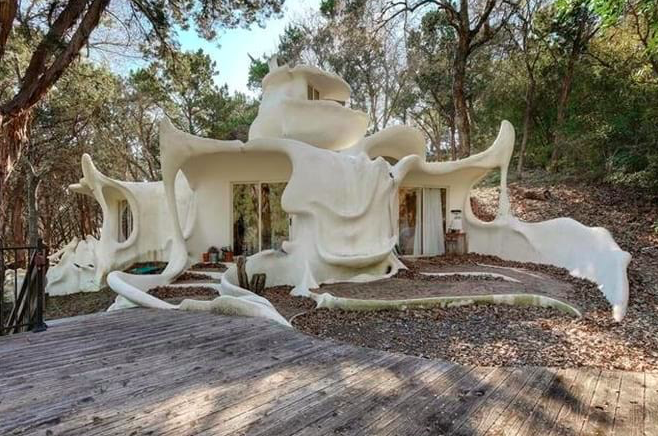 A house that screams “Austin weird” is located in one of the city’s most exclusive neighborhoods, not more than a 15 minute ride from downtown. The “BloomHouse” at 0 Encinas Rojas St. — yes, the address is a zero — near a strip of broadcasting towers west of downtown is a 1 bed, 1 bath, 1,000 square-foot home sitting atop 2.7 acres of heavily wooded land. BloomHouse was designed by architect Charles Harker, a professor of architecture at Kent State University, who came across the land and wanted to create a memorable, unique home. An overarching theme of the design was connecting the space with the lush outdoor environment, and Harker wanted to make sure that there were no straight lines in the design of the home. In essence, he wanted to create a work of art that could double as a house. Construction of the home began in 1973 and was completed in 1984, with an award of merit from the Austin Chapter of the American Institute of Architects that same year. But what’s this livable sculpture made of, you ask? 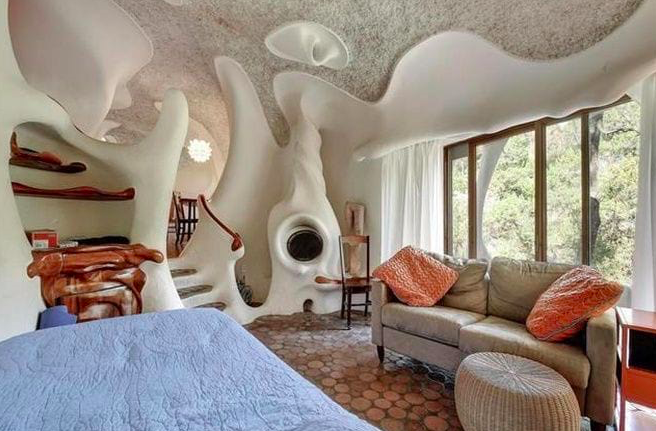 – It’s sculpted out of a polyurethane foam covered with concrete stucco for energy efficiency. 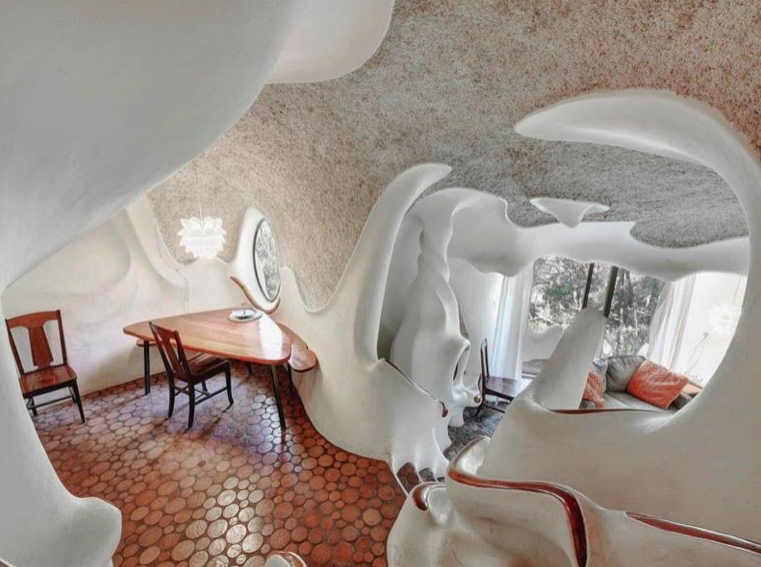 Because of the irregular curves and strong attention to detail, all the interior woodwork is hand-sculpted and the floor tiles hand-cast in varying sizes.